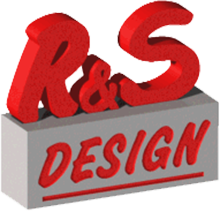 At R&S Design, quality is a priority from start to finish on any project. We use only the best engraveable materials to ensure that your engraved memento will last a lifetime. Anything that can fit under the laser can be engraved, however the desirability of the finished product can vary greatly depending on what material has been used. Here at R&S, we strive for quality. We can guide you through the material selection process and give you our honest evaluation before we start to ensure you end up with the best finished product possible. Or, you can choose from one of the fine stock materials we offer in our shop. Wood The laser process etches in your image or text, leaving a distinct crisp presentation. Marble The laser process etches in your image or text, leaving a distinct crisp presentation. Glass The laser process etches in your image or text, leaving a distinct crisp presentation. R&S Designs uses the best quality materials for engraving, or you may supply your own. Please contact us for your engraving needs.